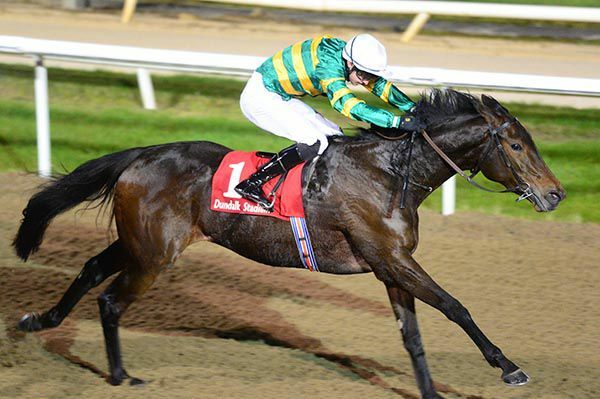 Regally bred Clear Skies completed a hat-trick of Dundalk wins at the venue this evening, landing the Crowne Plaza Jockey&Trainer Awards Handicap for trainer Aidan O'Brien, his jockey son Donnacha O'Brien and owner J.P. McManus. The daughter of Sea The Stars is a half-sister to Derby winner Motivator and today scored a third win this month when beating Carried by a length. 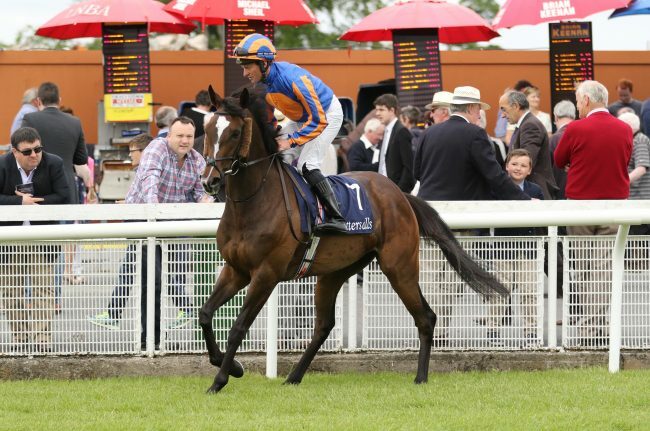 Afterwards jockey Donnacha O'Brien, having his first ride this month, stated “she's just a progressive filly. She always worked nicely at home but it just took her a while to get her act together on the track but she's showing the ability she has now. “She travels beautiful; before, she was kind of quitting off it but now she's quickening and galloping out off it. “The second favourite (Carried) was in front of me so I wanted to put him to bed when I could and then worry about what was coming from behind me after that. Idaho is pleasing connections as he prepares to tackle the Japan Cup at Tokyo racecourse on Sunday. The four-year-old has been racking up the air miles for Aidan O'Brien this year, racing in Britain, France, America and Canada, and he now has his sights set on the Group One prize over 12 furlongs in Japan. Idaho arrived there last week and after completing his quarantine at the Horse Racing School in Shiroi, he was transferred to the international stables at Tokyo racecourse on Wednesday. Assistant trainer TJ Comerford told www.japanracing.jp: "He's a good traveller and the trip here from the quarantine centre was no problem - just like he went for a spin in the lorry. "The first few days in Japan, he was just settling in and now he seems fine, he took it all well. He's very laid back. On race day he's a bit more excited but that's normal for him. "He's done a good canter this morning and yesterday, and he'll do a strong piece of work tomorrow, maybe on turf." 4 Time Group One & Dual Classic winner Winter retired. Winter had a setback after the Arc and the decision has been made to retired her Aidan stating "I think Winter has done enough to head on to her next career and she'll probably go off to stud for next year. We're looking forward to her foals." Aidan also said Roly Poly could head to Hong Kong after which she could possibly retire saying "Roly Poly could head to Hong Kong next for the Mile and retire after that,"
Highland Reel is another set for the trip to Hong Kong on December 10th Aidan Said "Highland Reel seems to be fine after America and the plan is to run in Hong Kong." Idaho will run in Sunday's Japan Cup Aidan explained "The mile and a half seems fine for Idaho but his form just hasn't been as good when he travels and we're hoping he'll be better this time. We'd like him to bring his Irish/English form with him." Aidan ended with some good new stating "Hydrangea and Rhododendron might stay in training but all those things haven't been written in stone." The Taj Mahal wins the Zipping Classic Group 2 on first outing for his new trainer. The Taj Mahal scored on his first outing for new trainer Robert Hickmott. It was quick thinking from Ben Melham proved the decisive move for The Taj Mahal in Saturday’s Group II Zipping Classic (2400m) at Sandown. The import was backing up from a game fourth last Saturday behind Tosen Stardom in the Group I Emirates Stakes and the Irish import enjoyed a stalking run under Melham. Second out of the straight the first time as Dandy Gent set a solid tempo, Melham allowed The Taj Mahal to stride clear into the home straight and never looked like being headed. Almandin tried hard but could only chase at one pace and The Taj Mahal ($5) sailed past the post 3 1/2-lengths clear of Almandin ($2.60 - $3.30) with Big Duke ($3 - $2.70) plugging past tired horses to finish third, a further 1 1/4-lengths away. “He’s a horse that can maintain a strong gallop from a long way out so today from the better draw, I was able to sit handier,” Melham said. “I thought I’d make them chase me from a fair way out and increased the tempo from the 1000m - he was really strong and towed me through the line as well. 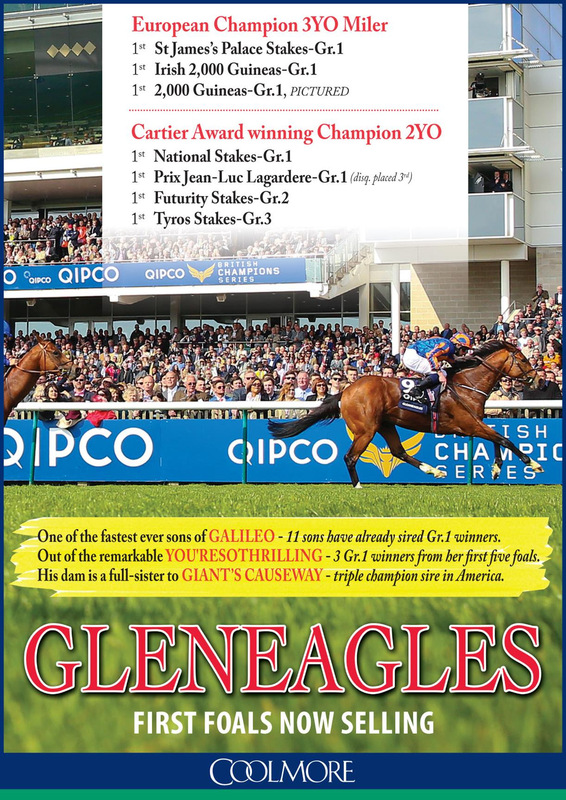 A Northern Hemisphere three-year-old son of Galileo, The Taj Mahal won for just the second time in 19 starts. “He probably should have finished a bit closer last start at Flemington but he’s a horse with plenty of upside,” Melham said. “He took care of a pretty good field today and when he gets up into a similar sort of race he can do it again. The Taj Mahal became the 5th foal of You'resothrilling to win a group race meaning all 5 of her foals ARE NOW GROUP RACE WINNERS. 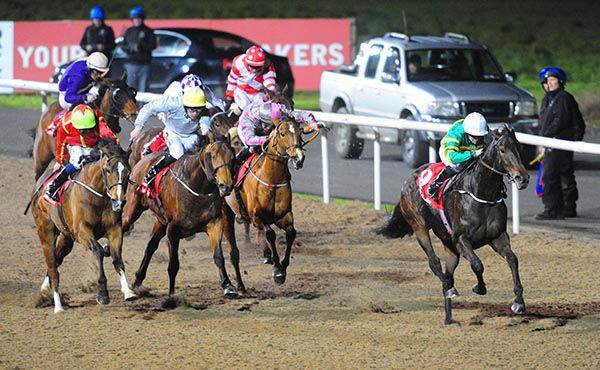 The regally bred Clear Skies gained a valuable winning bracket when taking the DKIT Students Union Race Night Maiden at Dundalk. The Sea The Stars filly is a half-sister to no less than 2005 Derby hero Motivator, and was scoring here at the eighth attempt. The evens favourite made headway early in the straight, leading a furlong out for Padraig Beggy to beat Vienna Circle by a length. Play It Cool kept on one paced to finish just a head further back in third. Beggy said, “She is a filly that I’ve always thought a lot of and today she showed it. She has a beautiful pedigree, and may have more potential to fulfil. 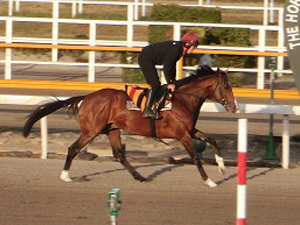 Japan Cup hopeful Idaho enjoyed some light exercise on Friday after arriving in the country ahead of his big-race date. The Aidan O'Brien-trained four-year-old is due to undertake his next international challenge in the 12-furlong event at Tokyo racecourse on November 26 after racing in America, France and Canada on his last three starts. Idaho arrived in Japan on Thursday and is stabled at the JRA Horseracing School in Shiroi City with O'Brien's assistant TJ Comerford overseeing his preparations. Comerford told www.japanracing.jp: "A day has passed since arriving here, but he doesn't look tired and his weight hasn't changed much. "As we did when we travelled him to the United States, we will train him with a right-handed trot and a left-handed canter here in Japan as well. "We will gradually adjust his training menu to what we normally give him back home." Aidan O'Brien's US Navy Flag was named Cartier Two-Year-Old Colt of the year, while stablemates Happily (Cartier Two-Year-Old Filly) and Order Of St George (Cartier Stayer Award) were also winners at last night's annual awards ceremony in London. All three are owned by the Coolmore team and MV Magnier, son of John, believes they have plenty to look forward to next year. He said: "It's going to be exciting, it will definitely keep us warm during the winter. With Saxon Warrior, he was very impressive when he won the Racing Post Trophy. He is very tough and Ryan (Moore) gave him a great ride. "US Navy Flag, look what he did this year, and Happily - her entire family kept on improving with age. We've a long winter to get through, but with Aidan and his entire team, they're in the right hands and we've a lot to look forward to." Paul Smith, son of Coolmore's Derrick Smith, was also keen to pay tribute to five-year-old Order Of St George. He said: "He's tough and very versatile. He's placed in an Arc over a mile and a half and is an Ascot Gold Cup winner over two miles and four furlongs and acts on any ground. It's every (owner's) dream, you want a horse like that." Ben Melham does not yet have any great memories of the Melbourne Cup but he is confident that, from barrier three, he and Johannes Vermeer can seriously challenge for Tuesday's Melbourne Cup. Melham said after the barrier draw on Saturday night that he expected Johannes Vermeer could take a forward spot in the race from his gate after settling back in the field in his first run in the country in the Caulfield Cup. "I would have been closer at Caulfield but he bounded in the air when they jumped and he just got a bit further back than I would have liked," Melham said. "He takes runs inside horses and settles really well so the draw should be a help. "He's a versatile horse that can be ridden forward or back but from three, you'd want to make the most of the gate." Nick Williams was also beaming after the draw for Johannes Vermeer. "He's flying and his final gallop this morning was very impressive," Williams said. Melham has only ridden in three Melbourne Cups, with a 10th place on Our Ivanhowe his best result to date. Johannes Vermeer is one of six horses part-owned by Lloyd Williams and now looks likely to challenge for favouritism on Tuesday as Williams' co-favourites Marmelo (barrer 16) and last year's winner Almandin (14) both gained awkward gates. Williams will not be the biggest owner in the Cup though, with that honour belonging to Phil Mehrten, who is in the ownership of all Williams' horses bar Gallante and also part-owns Marmelo and Wall Of Fire. Europe got on the board at the Breeders' Cup when Mendelssohn claimed the Juvenile Turf at Del Mar for Aidan O'Brien and Ryan Moore. Drawn one, Moore had the perfect trip throughout, tracking Richard Fahey's front-running Gimcrack winner Sands Of Mali. Last seen finishing second to stablemate U S Navy Flag at 50-1 in the Dewhurst, Mendelssohn was much more strongly fancied this time and returned the 9-2 second-favourite. As Sands Of Mali's stamina began to ebb away in the straight, Moore kicked on and Mendelssohn ran out a ready winner from Untamed Domain and Voting Control. Gordon Elliott's Beckford was last coming out of the back straight before finishing with a rattle and only just missing out on the places. Masar, James Garfield and Rajasinghe never featured. 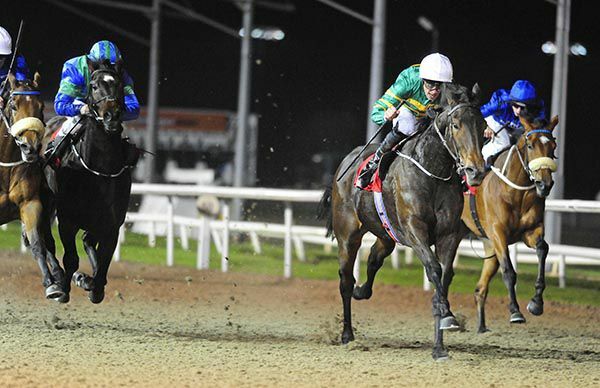 O'Brien, winning his 27th top-level race of the year, said: " He progressed with every run and his level of progression was so good we were afraid to turn him off. "He was still a little green and he'd been getting better all the time. It was brilliant, he's stepped up again today so it's marvellous. "It's been a big team effort and we're just a small part. We're so grateful to everybody and we're privileged to be here." Moore said: " He shouldn't have been 50-1 last time, he's a beautiful horse but he's just been a bit backward. "The time before the Dewhurst he knocked himself coming out of the stalls, he's a very talented horse. "Everything went our way today. He's been a bit slow mentally but he was professional today but even when he hit the front he wasn't sure what to do. "It went well, we had a good draw but it went smoothly because he has the talent to do that. "I've always thought he was a good horse, especially since the Dewhurst, and although he was stargazing in front, I always felt there was something left in the tank." 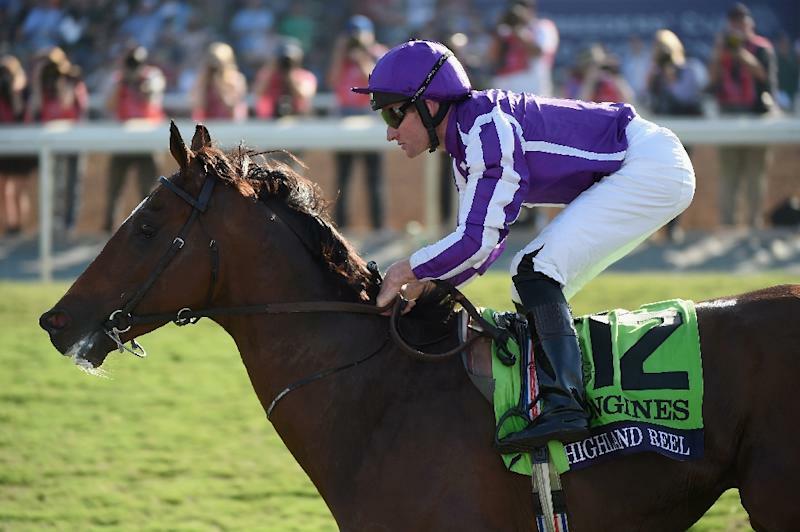 Aidan O'Brien believes Highland Reel is in peak condition for the defence of his crown in the Breeders' Cup Turf at Del Mar. The globetrotting five-year-old was a brilliant all-the-way winner of the mile-and-a-half contest 12 months ago to go with his previous Group One victories in the the King George at Ascot, the Hong Kong Vase at Sha Tin and the Arlington Million in Chicago. Highland Reel has arguably been better than ever this season, and stretched his top-level tally to six with victories in the Coronation Cup at Epsom and the Prince of Wales's Stakes at Royal Ascot. He was most recently seen finishing a creditable third behind Cracksman in the Champion Stakes at Ascot. O'Brien said: "At Ascot, Ryan (Moore) minded him. He kept him on the best ground and didn't hit him. "He needed to have a run before coming here because he'd had a little bit a setback after the King George, which meant the Arc came just too soon for him. "He's in good order. He has a good draw, he loves fast ground and loves a mile and a half.
" Highland Reel always goes forward in his races and will do that on Saturday. "He doesn't mind bowling along, but he doesn't have to make the running. He won't mind going on himself if no one else is going to." Highland Reel is one of three runners for the Ballydoyle handler along with Epsom Derby runner-up Cliffs Of Moher and dual Group One-winning filly Seventh Heaven. 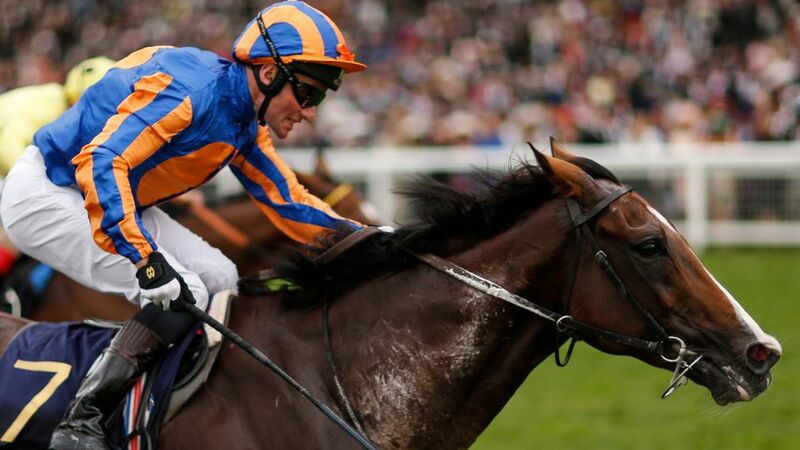 O'Brien told At The Races: "Things haven't really worked out for him (Cliffs Of Moher) since the Derby. "He got badly hampered in the Eclipse, we made too much use of him at York and he got no luck in running at Leopardstown. The ground was the problem at Ascot last time, as he's a good-moving horse that just needs better ground than that. "He seems to have come out of that well and a sharp mile and a half on fast ground should really suit him. "The filly (Seventh Heaven) is going really well. She loves a mile and a half and loves fast ground. "Whether the track is going to be too tight for her or not, I'm not sure, but she's in a real good place." Roly Poly goes in search of another top-level victory in the Breeders' Cup Mile at Del Mar on Saturday. Queen Elizabeth II Stakes heroine Persuasive in the Sun Chariot Stakes at Newmarket. "She's a very solid filly and has progressed with every run. 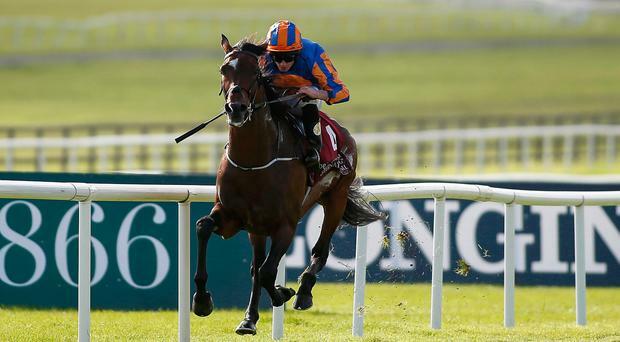 It's amazing what she's done this season," O'Brien told At The Races. "She isn't the biggest, but there have been a lot of great horses over the years that have shown they don't need to be big to be great. "She has pedigree, ability and courage which are probably all more important than size. "I don't think she's far off the best in Europe over a mile. Her draw (12) doesn't look ideal, but we'll see what Ryan (Moore) makes of it. "A mile on fast ground is just what she wants." 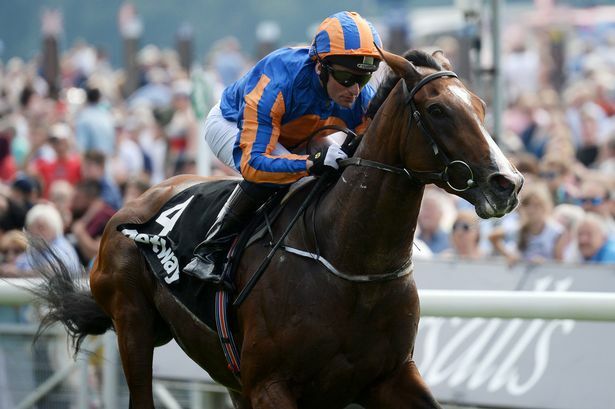 O'Brien also runs Lancaster Bomber, who could not handle the soft going in the QEII. "He just got stuck in the ground at Ascot, but he's a hardy horse and has been in good form since," he said. "He gets a mile well. Fast ground will suit him and he's just a good solid horse."